PLO official pushes Hague to investigate Israel for 'stealing' land, including Jerusalem, from imaginary PA state. 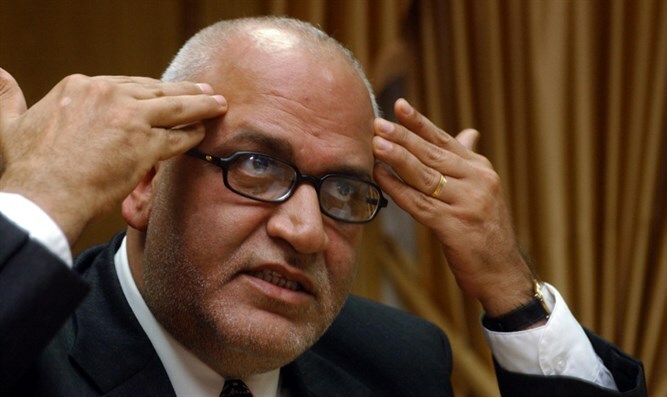 PLO Secretary-General Saeb Erekat called on the Hague court to immediately open an investigation into Israel's "occupation crimes" and especially the "colonial settlement of occupied Palestine, including eastern al-Quds." Al-Quds is the Arabic name for Jerusalem. In an official statement, Erekat said, "it's time to move to the next stage, and to open an investigation of the settlement crimes. Two years have passed since we began looking into the files Palestine sent us regarding the colonial settlement, army activities against Palestine, attacks against the Gaza Strip, and the prisoners' issues. "The court is the only place for Israeli war crimes, and since the....Israeli government has slammed international bodies, we need to use every possible means in order to prevent Israel from continuing to steal lands and systematically violate international law." Erekat also said delays in opening the investigation will provide Israel with immunity and additional time to apply its "settlement plan" compromising "Palestine's land." The PA officially joined the ICC on April 1, 2015, and immediately filed a series of legal complaints with the court. In addition to claiming that Israel committed war crimes during the 2014 Gaza war, it also claimed that Israeli “settlements” are “an ongoing war crime." Also in December, a close associate of PA chairman Mahmoud Abbas threatened to sue Israeli officers at the ICC following the vote at the Security Council.